Overlooking the beautiful town of Monemvassia, in a green-clad area of 10.000m2 with olive and palm-trees, bougainvilleas and season-flowers, 400 m. from the sea and the town center, Topalti Village, with 12 independent single- and double-spaced residencies, introduces a new philosophy in hospitality. The bungalows (studios) are furnished with wooden or built double beds and are decorated in a traditional style, while the family bungalows comprise of 2 bedrooms (one with a double bed and one with two single ones, each with its own veranda), kitchen and bathroom. Each bungalow with emphasis in comfort and privacy, is equipped with kitchenette, refrigerator, television, air-conditioning, private verandas, garden and spacious parking area. 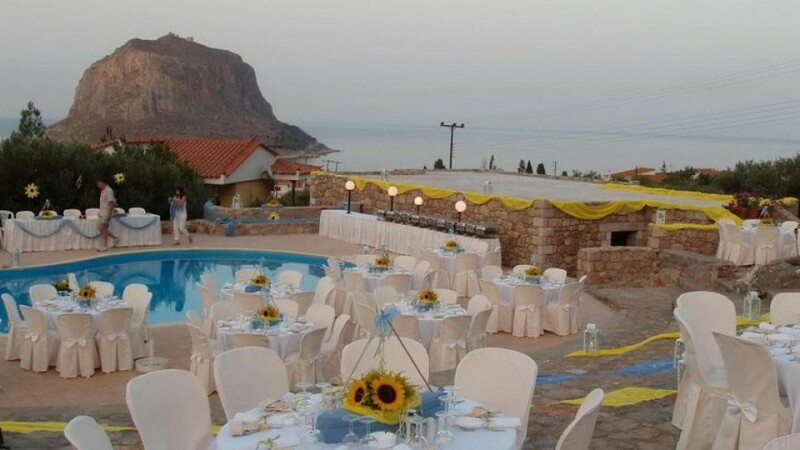 The majestic view of the endless blue of the Myrtoon Sea and the Castle of Monemvassia will take you on a journey away from the intense tempo of modern life.